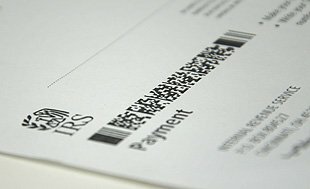 It Is Possible to Stop All Collection Action By Receiving IRS Non-Collectible Status. IRS Currently Non-Collectible (CNC) Status is intended to help those in a position of financial hardship, but who are unable to do an Offer in Compromise, Bankruptcy, or an Installment Agreement. The ability to receive Non-Collectible Status is strictly determined by an evaluation of your financial situation. If you simply cannot borrow against assets, nor afford an installment agreement, it may be possible to get the IRS to put your account in a Currently Non-Collectible (CNC) Status, or give you a partial payment plan. However, Currently Non-Collectable status is only a temporary solution with the IRS, possibly only lasting a minimum of one year. If you are placed into Non-Collectible status, you will still need permanent resolution such as an Installment Agreement, Offer in Compromise, or in some cases Bankruptcy. Many times an uncollectable status can be used as an interim step to prepare for doing an Offer in Compromise, or to buy time to file bankruptcy, or simply to let the Statute of Limitations expire. If paying ANY money towards your taxes would create an undue economic hardship, we can negotiate with the IRS to stop collection actions against you for a period of time until you are in a position for permanent resolution. To find out if you qualify for IRS Currently Non-Collectible Status, or another tax relief program, contact us at (877) 829-2455 to schedule a initial consultation.